Bathroom remodeling jobs are very common, but people rarely understand how complex a job like this is. For one, a bathroom must be well planned out before the contractor finds the needed materials. Also, items need to be measured out and fitted accordingly, as all items need to fit perfectly into the bathroom. And, probably the most complex feature of bathroom remodeling is deciding on a theme and a motif. There are thousands of options, so finalizing a choice is a big deal in bathroom remodeling. The best way to show your clients their options is by bringing them to your local ProSource® of Naples. Here, your client will be able to view our products and observe all of our displays. By having neat showcases for their options, your clients will feel less overwhelmed by the whole process. One of the most daunting features to place in a bathroom is the sink. 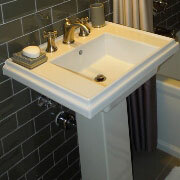 The sink is one of the central features of a bathroom and will typically indicate the overall theme of the bathroom. 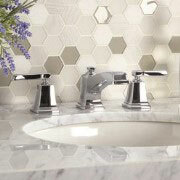 Sink faucets also play a large part in determining the theme of a bathroom. For example, an intricate gold faucet will give a bathroom a more elegant and luxurious aesthetic, whereas a simple silver one will allow the bathroom to give a more calming, modest look. The fastest way to impress your client is by constructing them a showering area they are proud to own. ProSource has everything you need to launch a successful shower remodeling project. If your client is at wits-end trying to store all of their towels and toiletries, Prosource has a solution! 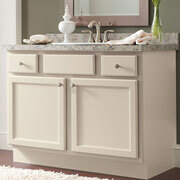 Vanities are a great way to optimize for your client’s bathroom storage. Visit our showroom to know more. Tubs are an exquisite addition to any bathroom. If your client desires a truly unforgettable bathroom, a new bathtub is a guaranteed solution. 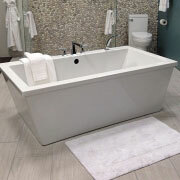 Visit ProSource to see our incredible selection of bathtubs. A toilet can say a lot about a bathroom. For instance, a gold toilet will signify luxury, while a white porcelain one will be a more traditional option. 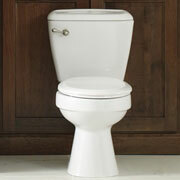 If you are looking for a selection of high-quality toilets, visit your local Naples showroom.